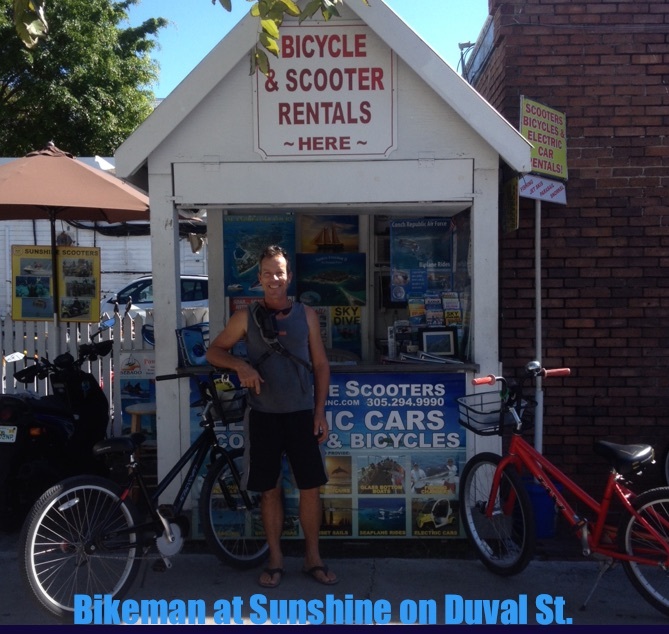 Convenient location, near Sloppy Joe's and only two blocks from the cruise ships dock in Key West, stop in at Sunshine for your bike rental needs. Daily rates and multiple day discounts available. Sunshine is under new ownership and is carrying Bikeman bikes! Scooters and electric cars available too. Key West bike rental delivery and pick up available!